Any USA player who has spent time within the online gambling community understands that funding their account can be harder at times than hitting that big jackpot. The online banking options are an ever changing landscape that is forced to succumb to changes in the market, government policy and other driving forces. There is a vast difference between the online payment processing in Europe and the US. Several elements contribute to the great divide present here, and key leaders from the two largest ewallet services in the world, Neteller and Skrill, recently shared their insight into the situation during an interview conducted by GWPA. Also involved in the discussion was InComm, one of the premiere providers of prepaid cash card services and solutions in the world, including the Vanilla Visa prepaid card. According to these industry experts, there are several obstacles in place in the United States, which keep prepaid payment methods from really taking hold here. One of the first barriers is the expectation and insistence of US players to rely solely on their bank issued credit cards and debit cards for any and all types of online and offline gambling entertainment. Americans are resistant to using alternative options due to the convenience and flexibility of their credit/debit cards. While things have improved greatly concerning credit card use and online wagering, we all know that credit cards are not a guaranteed funding method when engaging in online gambling. The representatives of Skrill, Neteller and InComm all noted that when a USA player has a credit or debit card rejected at an online casino, poker site or sportsbook, they simply whip out another card and then another until they either achieve success or run out of cards. This is the mentality that they want to make a dent in. All three payment brands agreed that educating players on viable prepaid methods is a key element in getting players to embrace the introduction and expansion of prepaid funding options such as digital wallets and prepaid cash cards. They all felt strongly that American players simply are not familiar with or knowledgeable on prepaid methods, making resources such as PrePaidGambling.net a valuable guide to players. With the recent legalization of online gambling in Nevada, Delaware, and New Jersey, gambling related payment processing issues have really come to light. It has also provided opportunities for ewallet brands to return to the US gambling market. At this time only state licensed and regulated online gambling is being supported for US players by Neteller and the prepaid cash cards such as Vanilla Visa and PaySafeCard. However as demand grows and the reach of state regulated online gambling expands, many industry experts expect these options to become much more widely used on a larger range of services, such as offshore online gambling, which is what most Americans who engage in Internet wagering rely on. These industry leaders forsee in the future being being able to support offshore US friendly prepaid casinos, prepaid poker sites and prepaid sportsbooks. Currently they are only able to offer their services to non-US players at these types of destinations. The discussion also included how these payment solution brands intend on making their presence known among players in the United States. By working closely with online gambling operators and affiliates, they feel they can get their message out. They are also supporting key gambling events, such as the World Series of Poker and other popular tournaments and events that will bring them significant recognition among a large audience of gamblers. They want to support operators to provide messages to their players when a credit card or debit card transaction fails, immediately providing the player with information on alternative, prepaid options that will provide success for them. They consider their affiliates, both large and small a critical piece of this pie because these affiliates reach players that other marketing directives do not impact. 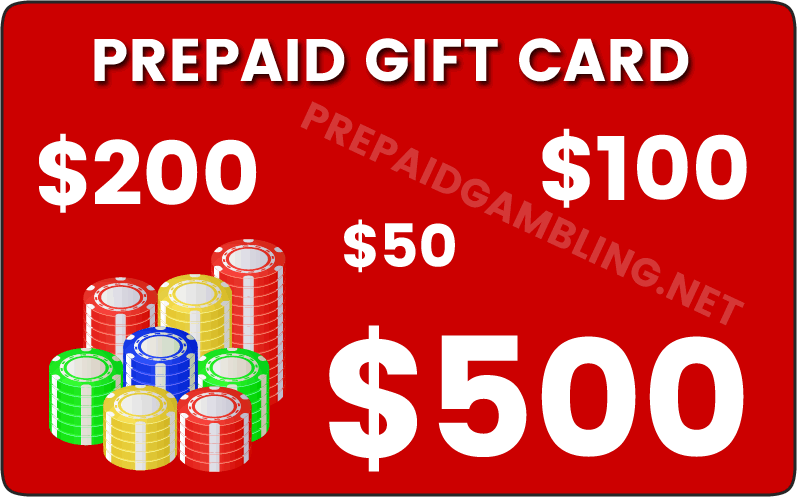 This provides a powerful delivery method for educating players on prepaid gambling solutions. Another obstacle in place are specific existing laws, such as the UIGEA, which drive the US based credit card companies to continue to reject gambling related transactions, even when they are tied to legal US regulated online gambling. This will have to be addressed on an official level, which thus far is not happening nor are there any discussions that express intent to make it happen anytime soon. This obstacle apparently will have to be overcome through creative alternatives to credit card payments that include prepaid gambling deposits. The industry leaders are confident that this can happen in the US, and that it will drive the expansion of prepaid payment solutions, increase competition and incentives, and bring the US much closer to the open and gambling friendly payment processing enjoyed in Europe and other places in the world. Copyright © 2017 Prepaid Gambling Cards - Must Be 18 Years Of Age To View This Website - Please Gamble Responsibly.